Leadership is one of those words that can be misunderstood. If you ask a thousand people to define leadership, you may get a thousand different answers. However you may define leadership, it is needed. Good leadership can positively impact the results and outcomes of any family, church, or business. Tune into our next blog, which will describe a great leader. 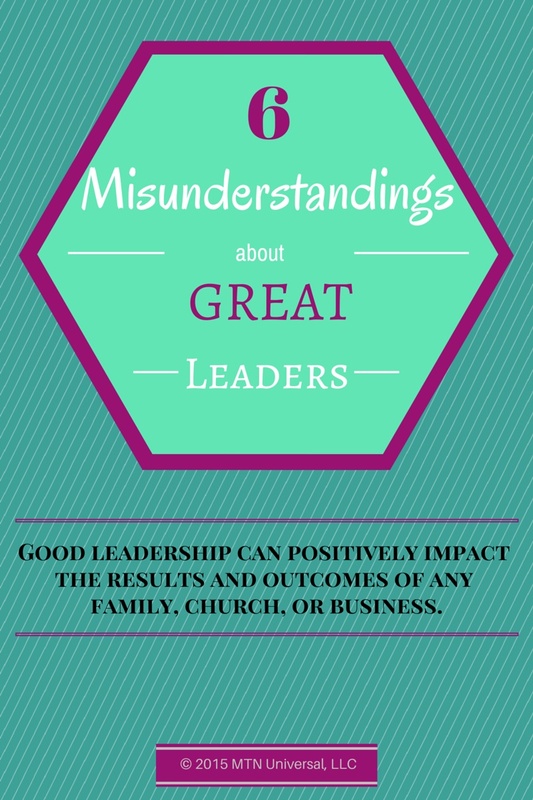 Today, let’s discuss 6 misunderstandings about great leaders. Followers and leaders alike may have a skewed perspective of what makes a great leader. However, I want to share these 7 misunderstandings to help you be the best leader you can be. 1. Leaders work smarter, not harder. Leaders have to be smart in their specific area of expertise, but they also have to work hard. Many times, great leaders work very hard with making their dreams a reality. So not only do great leaders work smart, but at some point all great leaders work hard because they are fully invested when it comes to their vision. 2. Leaders know it all. One of the biggest misconceptions of leaders and followers is that leaders know it all. I don’t know any leader that knows it all. Matter of fact, I don’t know anyone who has all the answers. With that said, this should not stop a leader from gaining any and all the knowledge needed to be successful in their area of expertise. 3. Leaders are always in the public eye. It is a natural assumption for people to believe that great leaders should be in the public eye. But there are different forms of leaders from extroverts to introverts. There have been many introverted leaders who have shied from the spotlight, but these leaders have dynamically transformed their organizations. 5. Leaders are always on top of their game. Leaders are not always on top of their game. All the great leaders of the past and present have had their moments of vulnerability. No matter the magnitude of the leader, at the end of the day we are all still human. So it is an unreal expectation for a leader or follower to believe leaders are always on top of their game. 6. Leaders are men. I will not waste too much time on this point because I think it’s a joke. When we consider our past and present, our world has been blessed with so many great leaders from both genders. These men and women have brought several unique skill sets and have come from diverse ethnic backgrounds. Many hold these misunderstood views on leadership, but if you remember some of these points you will discover ways to improve your leadership. Stay tune for our next blog post. We will discuss how to become a great leader. Question: What other misunderstandings have you encountered when it comes to leaders leading? Leave your comments below. Are You Enjoying Your Entire Life?